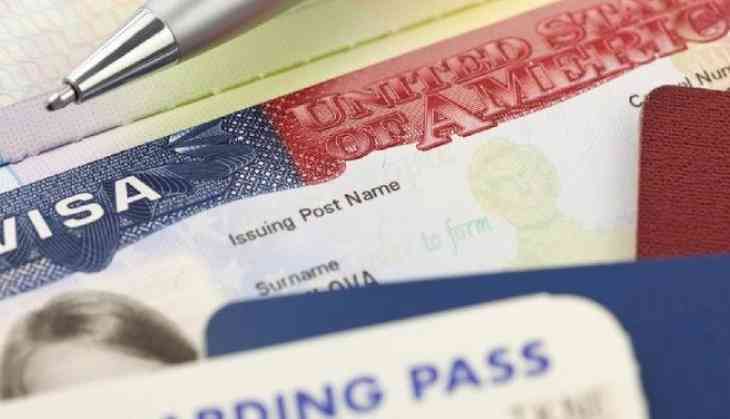 At least eight Indian students were held by the US Department of Homeland Security for committing visa and immigration fraud after multiple raids. The students were staying and working illegally in the country. Eight Indian student recruiters have been arrested by US law enforcement agencies after multiple raids in the last two days according to the Detroit News, a US daily. The arrests were the result of the two-year long undercover operation in which Homeland Security Investigations (HSI) set up a fake university to probe and identify those indulging in immigration fraud, reported Indian Express. The eight Indian students arrested allegedly for misusing student visas and helped "unqualified students" stay back in the US with fake documents, said immigration officials. Reports suggest the raids were carried out in Missouri, New Jersey, New York, Georgia, Ohio and Texas. Those arrested have been identified as Bharath Kakireddy, 29, from Florida, Aswanth Nune, 26, from Atlanta, Suresh Reddy Kandala, 31, from Virginia, Phanideep Karnati, 35, from Kentucky, Prem Kumar Rampeesa, 26, from North Carolina, Santosh Reddy Sama, 28, from California, Avinash Thakkallapally, 28, from Pennsylvania and Naveen Prathipati, 29, from Dallas. According to the indictment, the recruiters and students who were enrolled paid the tuition fees to the university though they were aware that they will never go there to study or attend classes. “Rather, their intent was to fraudulently maintain their student visa status and to obtain work authorisation under CPT (curricular practical training) programme. Each student knew that the university’s programme was not approved by the US Department of Homeland Security, was illegal,” the indictment stated.